Pitching and flipping has a new go-to bait. 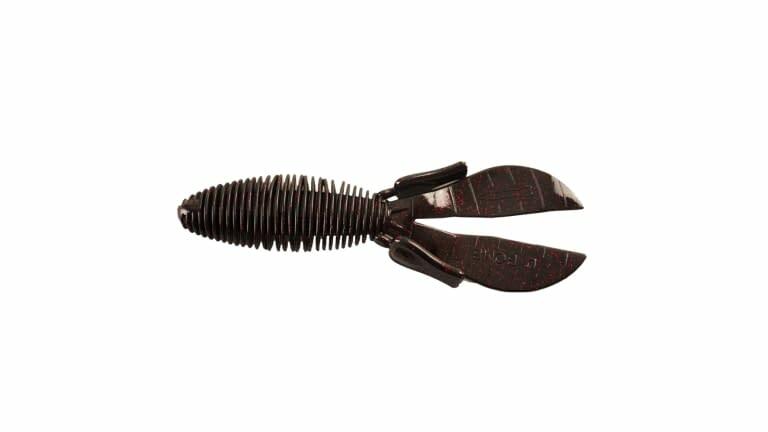 D Bomb is a bulky 4 ” creature bait with a unique ribbed body that displaces lots of water resulting in a straight fall. The tails sail when left connected or flap wildly when separated. The body is thinner where the hook comes out for easy hook sets but has a thicker head so the bait stays on the hook. 6 per pack.